Capcom gained a whole lot of goodwill when it released the entire run of the original Mega Man series across two legacy collections for Switch. Both compilations gained mostly critical acclaim from critics (our own reviews scored the collections 4.5/5 and 4/5, respectively). 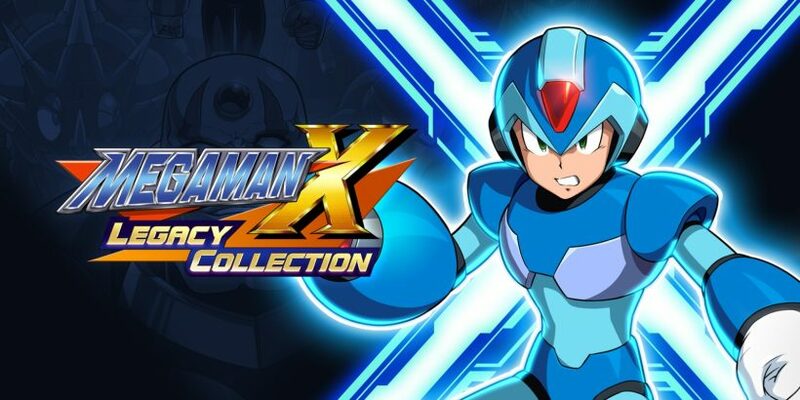 Now, they’re looking to continue this by bringing the Mega Man X series to the Switch with Mega Man X Legacy Collection. 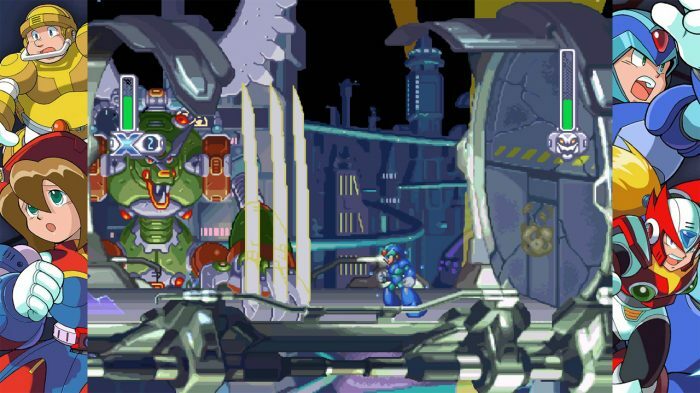 This review will cover the first collection, featuring Mega Man X 1 to 4, but you can also check out our review of the second collection covering Mega Man X 5 to 8. The Challenge X mode will also be covered in the review for Mega Man X Legacy Collection 2. Kicking off with the first game, Mega Man X is arguably the strongest game in the entire series. It retains the core gameplay from the classic Mega Man games and expands on it in several meaningful ways. For starters, the graphics look absolutely gorgeous. 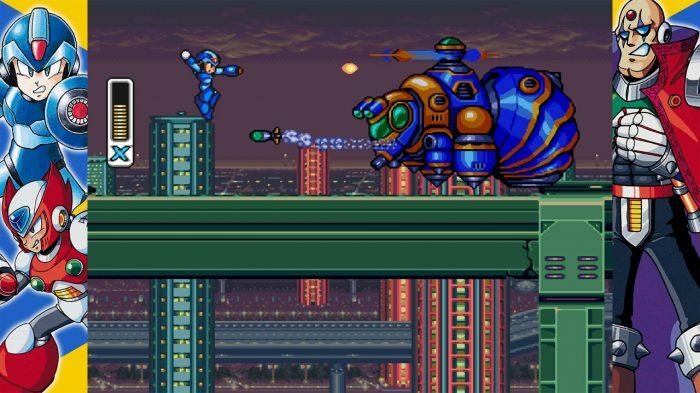 Taking full advantage of the SNES, Mega Man X is more detailed, more colourful and altogether much cooler than its ancestor. Additionally, several gameplay enhancements have been implemented. The protagonist X can wall jump from the start, which is incredibly useful for gaining significant height or manoeuvring around a particularly tricky boss. If that’s not enough, you can gain permanent boosts to your health through normal playthrough, a handy dash ability, and some killer weapon augmentations upon defeating the Maverick bosses. The vibrant colours are quite beautiful. Mega Man X2 is basically more of the same. The graphics are nearly identical bar a few instances of 3D wireframe effects, which is nice. Furthermore, X can dash right from the start of the game, removing the necessity to collect this particular power-up later on. What’s also clear at this stage is that Capcom were clearly committed to providing the Mega Man X series with an actual cohesive overarching plot – and a decent one, at that. Mega Man X3 is again a continuation of the same formula seen in the first two titles. This game is unique, however, in that it is the first game in the series to allow players to directly control X’s companion, Zero. Whilst this feature is fairly limited compared to later titles, it is nevertheless a good addition to a game that I otherwise felt was beginning to sag under a distinct lack of innovation. You can toggle between the US and Japanese editions. Finally, Mega Man X4 marks a significant departure from the series, at least in terms of visuals. Being the first title to release on the PS1, the graphics are understandably more detailed. The gameplay, however, remains largely unchanged, but players have an immediate option to play as either X or Zero from the start. Zero provides a decent change of pace to the game with his sabre weapon, but unlike X, his armour cannot be upgraded. Alongside the four games (which you can toggle between the US and Japanese editions, by the way! ), Capcom have included a vast selection of artwork and music covering the series. This particular feature is much improved from the Mega Man Legacy Collection titles, and you can even peruse over examples of merchandise, from figurines to apparel. It’s quite remarkable to see how in-depth Capcom have gone with this – it’s clearly a passion project for the company, and I hope to see this feature included in future classic game compilations. The four games contained in Mega Man X Legacy Collection are arguably some of the strongest in existence. Whilst there’s little to differentiate the first three titles, you owe it to yourself to experience them at least once.